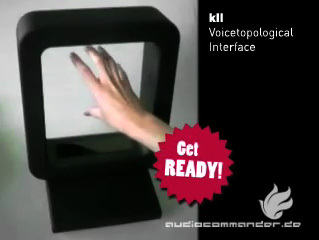 The talking machine k2.0 is shown as part of the Exhibition “Assembling Bodies” at the Cambridge University Museum of Archaeology and Anthropology from March 2009 to March December 2010. Opening in March 2009, Assembling Bodies: Art, Science & Imagination aims to challenge pre-conceived notions about the human body. This innovative, multi-disciplinary exhibition examines ways that bodies are constructed, known and transformed in various historical, cross-cultural and disciplinary contexts. It invites visitors to explore various technologies through which different bodies are known and made visible. Presenting insights from anthropology, archaeology, history, classics, bio-medical research and artistic practice, the exhibition brings together an assembly of bodies from different times and places, highlighting multiple and transitive definitions of the body as well as the political implications of the ways that distinct bodies are created and understood. Assembling Bodies showcases the extraordinarily rich and diverse collections within Museum of Archaeology and Anthropology, the University, and the Colleges, juxtaposed with exciting contemporary artworks, It brings together insights afforded by a diverse range of exhibits including stone tools used by early hominids, classical sculptures, medieval manuscripts, European paintings, medical instruments, scientific models, ancestral figures from the Pacific, South African body maps and kinetic artworks. Interactive displays will stimulate multi-sensory engagement with the themes of the exhibition. A dynamic web-space will enhance the exhibition experience, encourage on-line participation and provide further information about cutting edge research. A broad range of associated outreach activities are planned to cater for diverse audiences, including workshops, gallery talks, scholarly conferences, school and community programmes and family events. The opening of the exhibition in March 2009 marks the 800th anniversary of the University of Cambridge and the 125th anniversary of the Museum of Archaeology and Anthropology. Cambridge has a long and vital history as a site in which beliefs about the human body have been developed and challenged. Institutions lending to the exhibition include: the Fitzwilliam Museum, Museum of Classical Archaeology, Whipple Museum of the History of Science, University Library, and the MRC Laboratory of Molecular Biology (University of Cambridge); Jesus College, Murray Edwards College, St Johns College, and Trinity College; Kinetica Museum, Science Museum, National Portrait Gallery and independent artists. Assembling Bodies is a component of a five-year interdisciplinary research project Changing Beliefs of the Human Body funded by the Leverhulme Trust. Additional support has been provided by the Arts Council of England (East), the Wellcome Trust, and the Crowther-Beynon Fund (MAA). Posted on 14. March 2010 by audiocommander. This entry was posted in Articles in English, Arts/Kunst and tagged Android, Body, Cambridge, Exhibition, History, Interactive, Kempelen, kII, Kinetica, Medienkunst, midibox, Phonetic, Speech, Sprechautomat, Utopie. Bookmark the permalink.